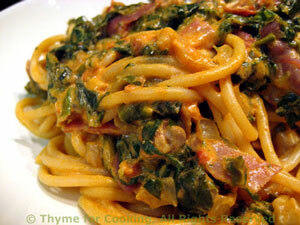 Farmhouse Pasta, Thyme for Cooking gourmet menus. This is one of our favorite pasta recipes. I've made it for 2 and I've made it for a group of 12. It's easy, quick, healthy and full of flavor.